Historic attractions in Lexington and the Bluegrass Region will fascinate history buffs. 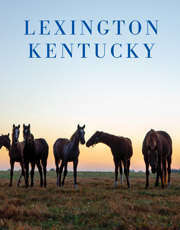 The setting is the legendary rolling hills of Bluegrass pastures and the charming small towns of central Kentucky. Use our Trip Planner so you don't lose track of all the things you'd like to do during your visit to Lexington.